You stay classy, Lalit Modi. Old Jat proverb say: Picture worth a thousand words. 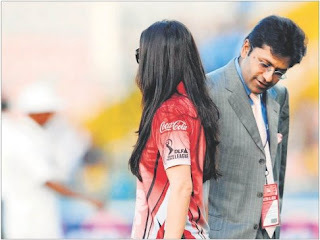 Chairman of the IPL, Lalit Modi, checking out Preity's Zinta.